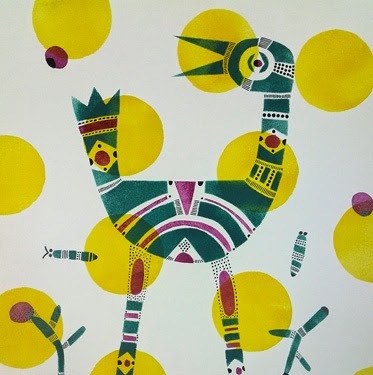 If you are in Tashkent this spring, do visit the Ulughbek Holmuradov Design Studio to catch illustrator and graphic designer Yulia Drobova’s charming new exhibition. It runs until 31 May. In her signature style, Yulia explores nature, cityscapes, food and Central Asian motifs. Yulia shares the same qualities as her great-grandfather, photographer Max Penson, and her grandmother, the photo journalist Dina Penson Khodzhaev: modesty and immense creative talent. Until she was a teenager, Yulia was quite unaware of her family’s illustrious heritage. What she does remember growing up is that at the frequent family gatherings in Tashkent, Dina and Dina’s brothers Miron and Zakhar (also photographers), always brought their cameras. Yulia and her sister Alexandra’s childhood is amply documented by these three children of Max Penson. She also recalls that Dina would give them paper and crayons and encourage them to "draw whatever you like"; the girls would give titles to their drawings, date them and Dina made an album of the collection, which she still has. After five years at the Tashkent Architectural State Institute, Yulia graduated with a Masters Degree in Advertising and Applied Graphic Art. She acknowledges the influence of one of her professors, the sculptor Marina Borodina (now the Chair of the Design School), who encouraged her students to look around, to observe reality and then overlay their own personal elements on this reality. Another major influence is the artist Elena Kambina, who had invited some students to join an exhibition in 2006 The City and Its Citizens, held at the National Bank of Uzbekistan. This was Yulia’s first experience of creating installations: from this opportunity she realised that she could create unique and different art pieces, that she could freely invent her universe. 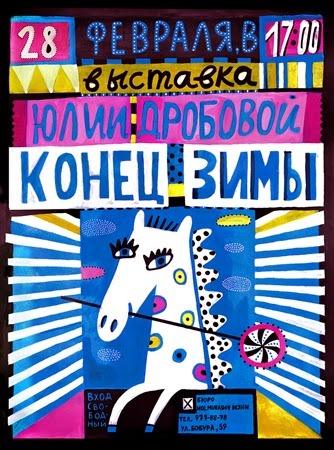 Her first projects were with a small Tashkent publishing house illustrating children’s textbooks. Since then she has forged her own career both locally and internationally. 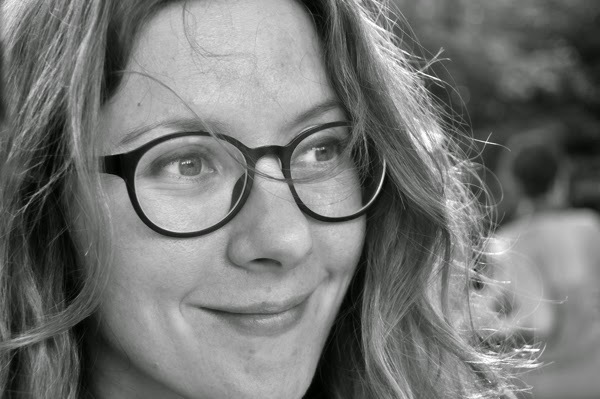 Encouraged by the French cultural attaché in Tashkent, Eric Aubert, she was awarded a three-month residency at the Cité Internationale des Arts in Paris in 2010. Yulia found her time in Paris very exciting: roaming the city, visiting galleries and exhibitions, mixing with other artists and seeing the world from different views. Importantly, Yulia bought a camera to record this Paris stint. Her eye for detail and whimsy captured daily experiences in this new world, from patisseries in her neighbourhood to objects she found on the footpaths. These photographs formed the basis for her solo exhibition, Les Paysages Inconnus, in Tashkent in 2011. Supported by the French Institute in Tashkent, the exhibition took place in two venues: a dozen of her photographs were installed on the walls of the French Embassy and at the Institute a large installation, Fraternité, covered the grounds. Small mirrors, affixed to the installation’s objects, drew visitors into the experience. Using other photographs as a starting point, Yulia created imaginative graphic works which were displayed inside the Institute and which captured her impressions and personal discoveries in Paris. Through this exhibition the costume designer of the world-renowned Ilkhom theatre, the Soviet Union's first experimental, independent theatre, noticed Yulia's work. Since November 2011 she has designed the posters for the company - either as an independent designer or in collaboration with Ilkhom's stage designer Vassily Yuriev. Yulia finds this collaboration stimulating and rewarding. Ilkhom also held an exhibition of her pastel works in 2014. 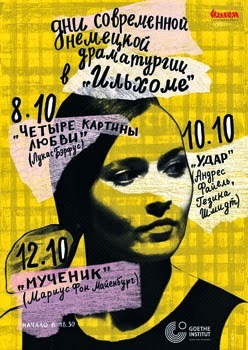 She freelances for UNESCO, Uzbekistan, and produces the flyers and posters for their in-country activities. In 2014 Médecins Sans Frontières engaged Yulia to produce illustrations for a special book for people suffering from tuberculosis. Like all illustrators, the internet has transformed opportunities. 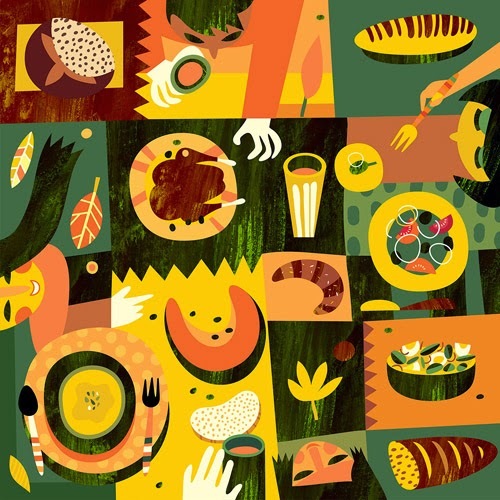 She regularly updates her online portfolio and engages in online forums with other illustrators. 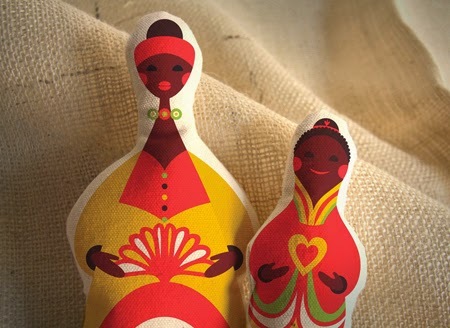 In 2010 Yulia was engaged by the Mitre Agency, based in the US, to help create elements of the visual identity for the Positive Action for Children Fund at the 2010 International AIDS conference in Vienna, Austria. In 2011 she was one of the six winners of the They Draw and Travel map competition, creating a charming Uzbek map of her family’s dacha. Her vivid, decorative designs have been used on textiles and clothing. Clients in Russia, Europe and elsewhere have commissioned a variety of projects. Yulia describes how she spends a lot of time tossing project ideas around in her head, imagining possibilities, crafting small elements “like beads” and building them into a composition. It is then that she starts sketching, when the whole is clear. You won’t find Yulia hanging out with the contemporary art scene in Tashkent. Her pleasures include photography, gardening, cooking and spending time with architect husband, Dima. She likes the pace of the Tashkent lifestyle, the abundance and variety of food, the green of the city. 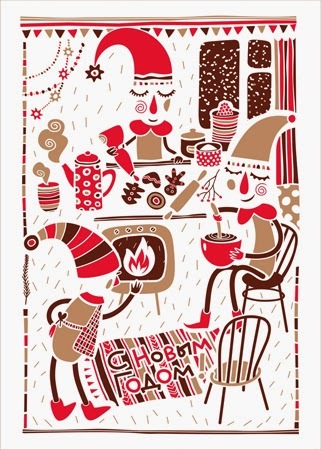 Below is a small selection of Yulia's work. You can view more at her website. The Holmuradov Design Studio is at 59 Babur Street, Tashkent, not far from Babur Park and just a 3-minute walk from the hotel where Uzbek Journeys clients usually stay. It is open daily, except Sunday, from 10:00 – 17:00. Tel: +998 90 977 8878. And while you are there, take a look at Ulughbek’s stunning, contemporary jewellery collection.